Murray for all the encouragement and support that you've provided. thought of joining an outdoor fitness group was extremely daunting! out of it - once I'm at a class I'm glad I'm there. commented on how fit I looked and I have to say I love my muscles! Thanks again for everything Matt! Matt when you asked me to put something together about my journey so far I wasn’t sure I wanted my story out there. I’m not one to put my feelings out there but it prompted me to reflect over the past two years. Just over two years ago I finally got to a point where I made a decision that I had to change my lifestyle. There were a few factors in getting me to that decision. My health was the first one, I didn’t want to give myself diabetes and go down that path of health issues. Second, some work colleagues had lost weight or joined fitness programs and radiated healthiness, fitness and happiness it was inspiring and got me to thinking I wonder if I could do that. Thirdly, I was truly sick of feeling fat, wearing fat clothes, unmotivated and having an incessant internal dialogue that said “I will start tomorrow” for the last twenty years. I am married and have five children I need and want to be around for them. 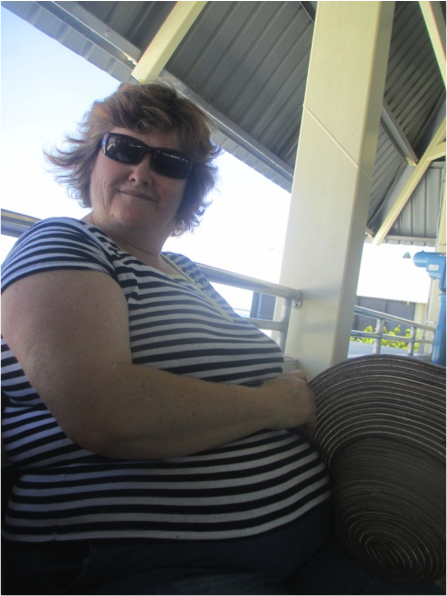 I joined Weight Watchers in Jan 2013. I weighed 103.5, Kilos, I owned it and wasn’t deterred. By the time I joined I knew I was going to do it. It took over twenty years to get to that size and I wanted to take it off slowly and permanently but most of all work on recognising and changing my bad habits. This was to be a lifestyle change for me not a diet, not a quick fix and it had to be done. For twelve months I plodded along, made changes and for exercise I walked the dog. I lost around 12 to 13 kilos and kept it off. I had a very negative internal dialogue and had to work on changing that into a positive. It was hard work but I had a drive that just kept me going. At the twelve month mark another thought had crept in, and that was, I knew I had to pick my game up and exercise. For months I said to myself when I finished my job in April I will start fitness. I kept telling myself that and building up to it. The time came to just do it. Two fantastic and supportive girls, Shaz and Lou who I have come to know put me onto Soular Energy. That was May 2014. It was very hard to take that first step and ring Matt to organise my first class but was even harder to turn up Monday morning at Harrington park. I committed to 4 weeks and 4 days a week and told Matt I had crazy work hours not sure how I am going to continue after 4 weeks. That first morning I was so embarrassed at what I couldn’t do. Mountains climbers, burpees, lifting weights and running a lap around the oval, but I knew I had to keep turning up. Yes it was hard but being fat and everything that being fat entailed was harder. Ten months later I have a totally different mindset. 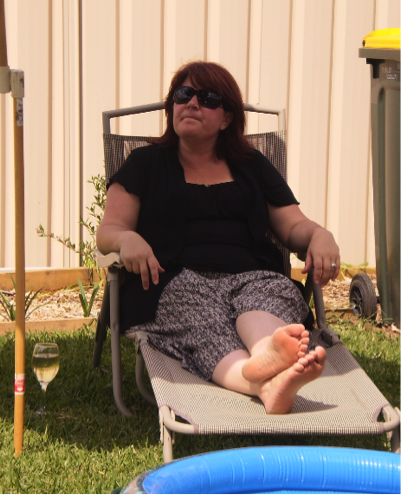 I love going to outdoor fitness, I have lost a total of 24 kilos and still have a little way to go. I feel fitter, stronger physically and mentally, my internal dialogue is healthy and positive. I can honestly say I won’t look back. I am confident, happy and realise my life has a great balance right now. My family are supportive of what I do and I have met some wonderful, supportive and like- minded people through Soular Energy. Every now and then my WW leader or Matt will say something that is so relevant to me that I repeat them over and over to myself so it becomes another positive in my dialogue. I never thought I could feel this good, I am where I need to be with WW and Soular. I even went as far as looking back for a photo of me before I started. These are rare as I would avoid my photo being taken. Two months before I joined WW I went on a trip to QLD with my family so for their sake I let them take photos. 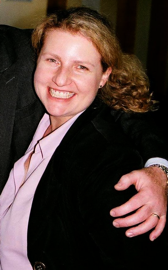 Looking at myself back then I cringed, I loathed the site of the photos and I was scathing of how I let that happen, but I am owning it so therefore I have attached a ‘before’ photo and a ‘one so far’ photo. I don’t know who that big woman was but I do know I won’t be meeting her again. I have found me again. I started my weight loss journey January 2012. 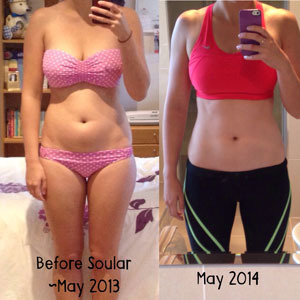 My weight loss slowed down and I was looking for new challenges so my sister in law suggested SOULAR because she had trained with Matt previously and had found it really beneficial. 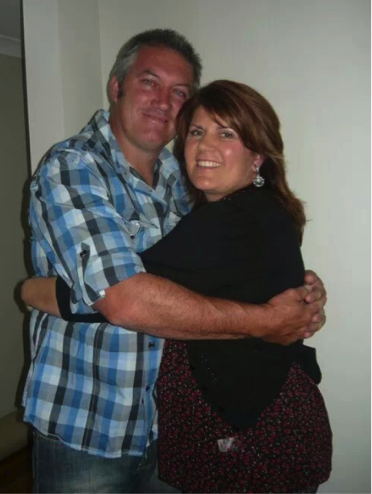 I joined in May 2013 and went on to lose the last 13kg of my 32kg loss. I thought I was the person who hated exercise. I just wasn’t built to be a runner, jumper, skipper or a hopper, I was built to read. The guys at SOULAR have really turned that belief on its head. It now became a fitness journey, not a weight loss one. All of the trainers are sincere, enthusiastic, know their stuff and push you to achieve your best. I didn’t find the exercise journey easy, I truly hated it but I think it was more because I didn’t think I could do it. SOULAR have made me realise that training is much more about mental toughness than it is about physical fitness. When I first started, it took me six months to complete a whole lap of the oval. The trainers and the other members helped me get there though. I remember during one class, running ¾ of the lap and stopping because my head was saying, “I can’t I can’t I can’t, I hate this,” and another member run up behind me and said, “Come on just to the corner.” I picked up my pace to match hers and finished the lap. 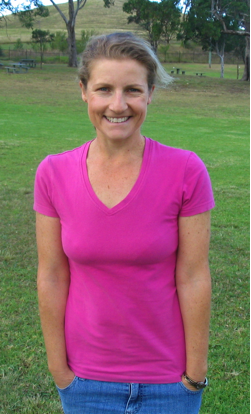 You would have thought I ran the City to Surf, it felt like such an accomplishment to me. That’s what keeps me coming back, the sense of accomplishment I feel when I’ve finished a class and I know it’s not just me that gets me through to the end. 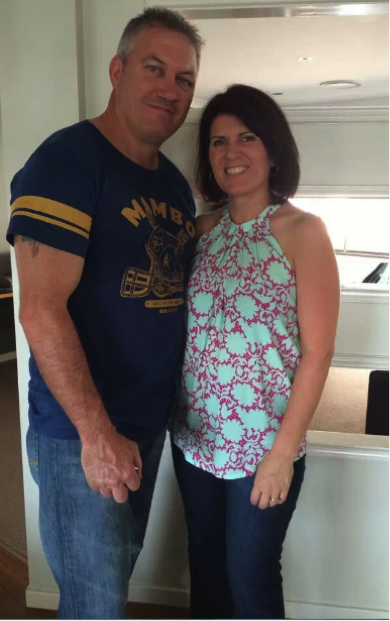 My husband has since joined and so has my daughter, so it’s suitable for all ages and fitness levels – you just go at your own pace. You don’t have to feel like an idiot because you can’t do what the others do, the trainers have set the tone that it is all about YOUR training and what YOU can do compared to yourself each time not compared to others in the class, which is a good thing because I’m definitely not one of the best. There are so many classes to choose from at SOULAR, we rarely miss out on an opportunity to train even though we both work and have a toddler. Another thing I like about SOULAR is that I can take my young son with me. He usually plays on the mat with the other kids or gets active himself and kicks the ball around with the other kids. There is a real family friendly atmosphere. There is such a variety of classes too, my husband and I have just started the spin classes and been learning some cycling techniques and done a couple of longer (for us) bike rides. It is opening up so many new experiences for us. Thankyou SOULAR, I am physically and mentally more fit than I was a year ago. You can’t buy the confidence you’ve given me to keep on achieving. What I like about Soular is the variety of the sessions. I've been going to Soular for 3 years now, three times a week, and there's never been the same session run twice, it's always been different, fun and challenging. Matt's extremely knowledgeable in fitness and nutrition and can always answer any questions that come up from members while we're exercising. I also like that there's all different fitness levels that take part in the session which are well catered for and I'm loving the fact that I'm getting fitter every week and my kids are welcome to be there, otherwise it would not be possible for this to happen. "And do you know what the best thing was - the only hard part about the outdoor fitness sessions was not letting excuses stop me. So if you can put on a pair of joggers and step out your front door then the rest is easy!" Okay, yes I watched what I ate and made healthier food choices but what the team at Soular helped me to do was to obtain a stronger, fitter and more toned body, which I thought at my age and after having three kids was impossible to achieve - but it wasn't. 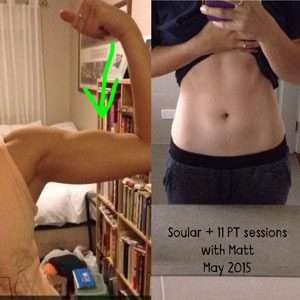 Thanks Soular"
I have been training with Matt and the Soular Energy trainers consistently for almost 6 years. When I started I had finished having babies (as a mum of 3 boys) and had decided it was time to get my body back and do something positive for myself. Not being one for the confines of a gym, the idea of training in the outdoors really appealed to me. It also meant that at the time I joined, my then 4 year old could come to classes with me. I loved the idea of this as it meant extra time for him spent in the outdoors and not having to be put into a crèche at a gym. When I first started I honestly wouldn't have thought that I would still be here, and still LOVE it, all these years later. 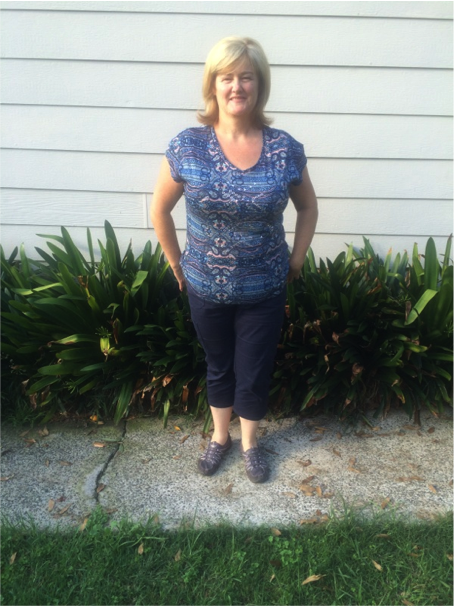 I'd tried lots of things for fitness before, from team sports to swimming to walking. All these activities eventually became boring and unappealing. What has kept me coming back to Soular is the fact that I have simply made attending at least 3-4 classes per week a non-negotiable part of my life. That combined with fantastic, knowledgable trainers, flexible class times, wonderfully positive training partners (many who I now consider to be friends) and a variety of locations and class types means that I simply never get bored of coming to classes and if I have to miss one for any reason, I can't wait to get back into it! I also love the fact that everyone works at their own level and you're not forced to have to keep up with fitter class members. I would encourage anyone to try a class and see all the benefits they can get out of outdoor training with Soular. I'm so glad I did!! I have known Matt for a number of years having been a regular member of a local gym. Feeling a little frustrated with the boredom of the gym and not getting the results I wanted, I finally was convinced to try a Soular Energy Session in January 2012. I was thinking to myself "how hard can the transition be given I had been doing some form of exercise for years". My first session was with Nicole on a Monday night and what a session it was. I was exhausted after the warm up!! I have found that the benefit of working with the Soular Energy Group is the continuous support and the sense of satisfaction of working alongside people who are truly inspiring. I have recently read some articles that promote outdoor training stating "often, you've been pushed to try activities you haven't done before and walk away feeling uplifted. You can see the tangible progress". How true this statement is! Like most people my age, I’d tried gyms and different exercise programs over the years with varying levels of success. When I went looking for a new program or group, I was a little overweight and fairly out of shape. I found I could only motivate myself in short bursts so the gym really didn’t suit me because it was way too easy to say ‘I’ll go tomorrow,’ and we all know how that goes! I’d heard of Soular through different people and decided to call Matt and check it out. I haven’t looked back! The afternoon classes were a bit difficult to get to after work and I was ‘thinking’ about hitting the early morning classes when I got that concerned text message from Matt wondering where I’d been, which was exactly what I needed. I now train regularly in the mornings and am more motivated to go out and run at other times. I find that Soular classes and trainers provide the perfect mix of intensity and support, catering for many fitness levels and abilities – but there’s never any slacking! Recently I’ve conquered the 10k run, which I never thought I’d be capable of. I’m working now to beat my last time rather than just struggling to finish. And the wedding dress I ordered 9 months ago is way too big and in need of some serious alterations, which has also been a brilliant motivator! After the birth of my second child I knew I had to do something to help remove the excess weight I had gained from having my two children. I was out walking with my children and saw a group of Soular Energy people training in Birriwa Reserve. WOW!, I said when I watched 6 people run completely round the oval and then do push ups, sit ups etc. I thought these people were machines. That's when my journey with Soular Energy all started. My goal was to be fit enough to run around the oval once! My first session was the hardest, I was sore for days. I knew I had to keep going, keeping my goal in my head. 3 sessions a week quickly turned into 5 sessions a week. I reached my goal really quickly and now I set higher goals for myself.Now I feel more energetic, happier, my body weight and body measurements are continually decreasing.The best thing about Soular Energy is the variety of classes and support from other Soular Energy members. There is never any pressure to be the fittest person in the class, you just have to try YOUR best. Soular Energy offers a mixture of strength, endurance, agility and cardio classes.Thanks to Soular Energy's trainers I now place a very high value for my physical fitness. I can actually run around with my kids not just watch them. I can't get enough of Soular Energy! Thanks Matt. Growing up, I'd always battled with my weight. I was never a sporty person and was quite intimidated by doing classes at the gym. I joined Soular Energy after a friend took me along to a training session. One session and I was hooked! The first thng I noticed was that kids were welcome, I didn't have to worry about them in a room with strangers, I also loved the fact that it was outdoors. I love training with Soular Energy. My fitness has improved and I no longer worry about my weight. The trainers are fantastic and you never have one session the same. Training is now part of my life.